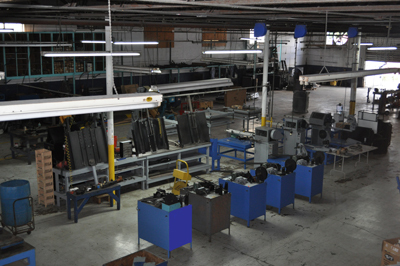 Robert Radiator Core Manufacturing has provided superior quality automotive and heavy duty cooling products with exceptional service since 1978. We carry Automotive, Heavy Duty Truck and Bus, Industrial, and Agricultural cooling products such as radiators, fan assemblies, charge air coolers and a/c condensers as well as manufacture custom radiators from customer specifications. Truly a full service radiator company led by knowledgeable management with expertise acquired through experience and familiarity of the industry. We dedicate ourselves to achieving the highest levels of customer satisfaction to consistently meet and exceed our customers' expectations. Robert Radiator proudly serves the local areas of Miami-Dade and Broward County with same day service. We also can provide next day delivery anywhere in Florida and prompt shipping nationwide. We export to all of the Caribbean Islands, Central America and South America. Copyright © 2010 Robert Auto Radiator Core Manufacturing Inc.
Robert Radiator offers numerous types of radiator repair services. Our radiator repair shop offers services for heavy duty truck radiators, generator radiators, industrial radiators,and antique radiators such recores or restorations and options such as removing and replacing tanks and rodding out and cleaning the core. We also can repair any radiator leak problems. With over 40 years of experience by the same owner in the same location we assure you that one of our numerous radiator repair services will guarantee that your radiator is repaired to its best possible capability. No radiator shop can match our attetion to quality and detail when it comes to repair work. Robert Radiator Mfg stocks car radiators, a/c condensers, fan assemblies, intercoolers, truck radiators, truck condensers, truck charge air coolers, generator radiators, lift truck radiators, etc.